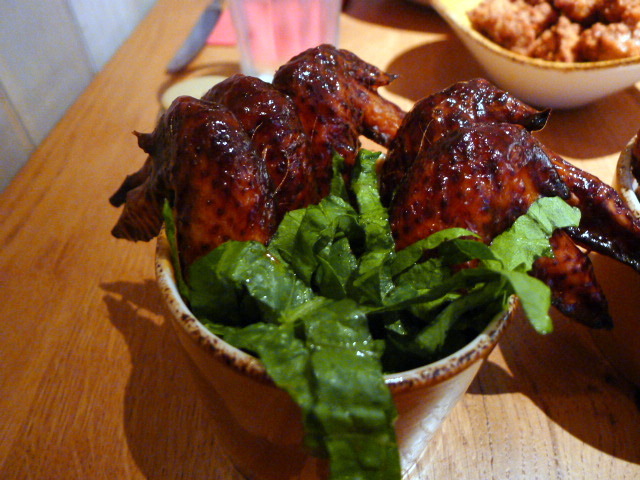 It’s such a simple concept, a restaurant that serves one key ingredient – chicken. I mean other than vegetarians, who doesn’t like chicken? 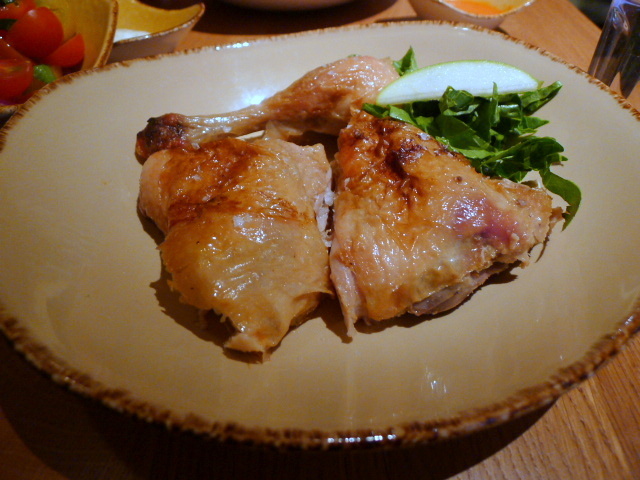 The concept is grander than fast food – its chicken done with style – rotisserie style rather than deep-fried. All the chicken served at Clockjack Oven is free-range and comes in the choice of pieces, sandwiches or in salads. There is also a selection of starters and sides to liven up the menu. It’s a pleasant, friendly looking restaurant although space is a bit of a squeeze. There is a mixture of tables including bar stools by the bar, long tables for big groups and tables outside. The most interesting part of the décor is the rotisserie that sits behind the bar. It’s in plain view of all the diners and you get to watch the chickens cooking as you eat. 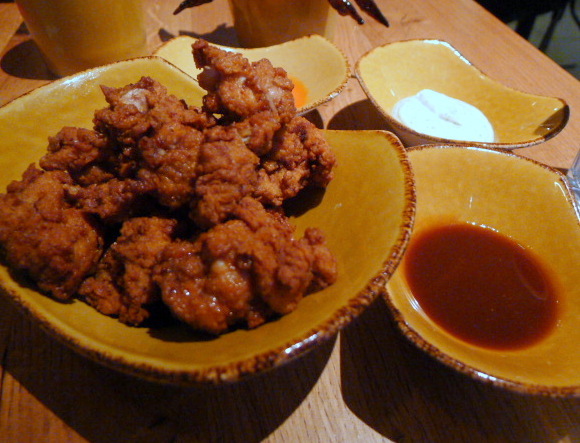 For starters we tried some chicken bites (£5.95) which had been marinated in buttermilk, coated in seasoned gram flour and lightly fried. These were really moist and crispy and were scrumptious with the dipping sauces. We tried the ranch, BBQ and chilli sauces, all of which were delicious, particularly the ranch with its creamy, herby and garlicky tones. The BBQ chicken wings (£4.95) were also delicious, being moist and lavished with the tastiest of BBQ sauces. The herb bites (£3.95), crispy sage and onion balls, didn’t appeal however as they didn’t deliver a great sage or onion flavour. We moved onto the rotisserie chicken which comes in either three (£6.95), four (£8.95) or ten (£18.95) pieces. However I was also told it was possible to order one or more pieces should you wish to supplement your order. There’s the option of brown or white meat, or both, and I went for all brown. The chicken was nice. There was a good flavour and it wasn’t dry. But then again it wasn’t superbly moist either, probably due to the fact that it had been kept warm in a holding dish for a little while after coming down from the rotisserie. But we loved all the sides that came with it. The double cooked chips (£3.25) were absolutely fabulous and super crunchy, surprising for chips that had only been cooked twice (rather than three times). The tomato and red onion salad was also good with lots of juicy red cherry tomatoes (£3.95) and little bits of fresh, aromatic basil which helped to lift the salad. 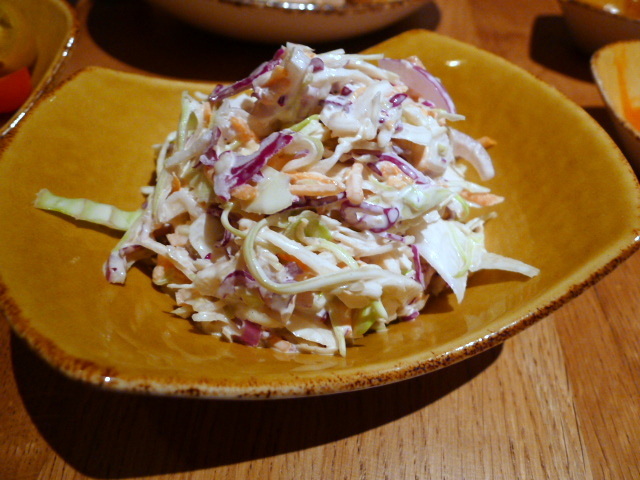 And the house coleslaw (£3.35) was really nicely done. The cabbage was crunchy and the dressing was neither too rich nor overpowering. A lemon tart with crème fraîche	(£4.95) proved to be a generously sized portion. 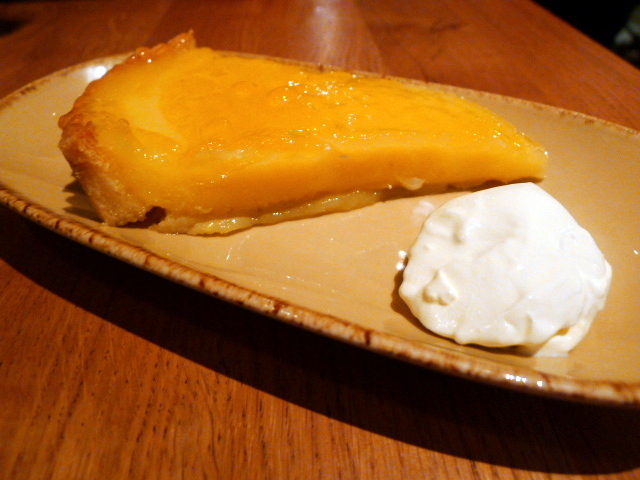 The tart was zingy, but it was also too sweet and the pastry was rather soft. 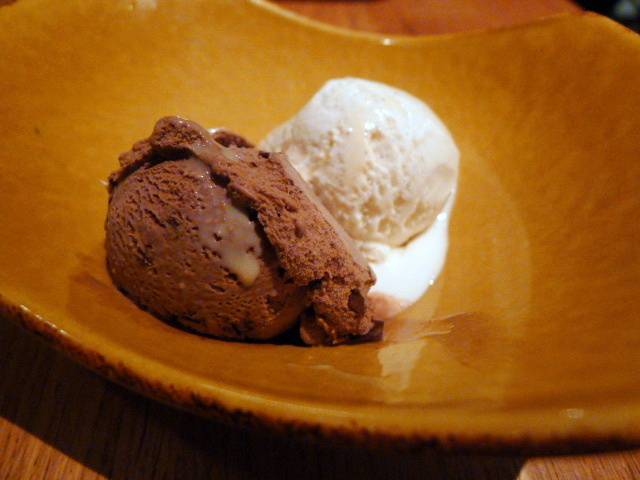 However the Purbeck Dorset ice cream (2 scoops £2.95) was really yummy. We tried the vanilla and clotted cream chocolate flavours and both were very good. For such a small outfit I was really impressed by the care and quality behind the preparation of the food. 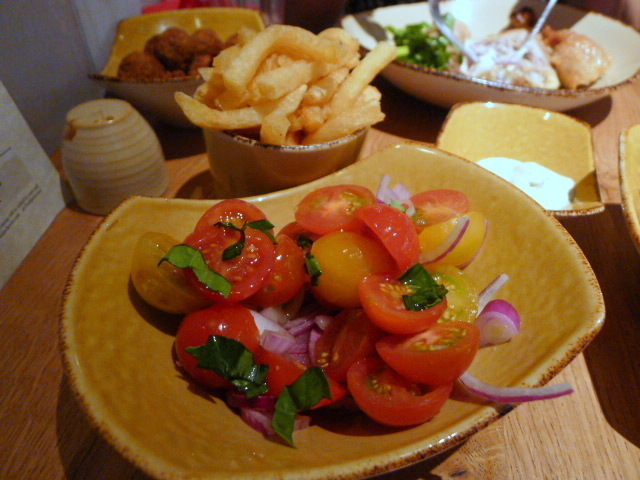 And there were lots to like, not just in the chicken but also in most of the starters and the sides. The restaurant was super noisy when it got busy and it was a little short on front of house staff. But that aside, the food was really reasonably priced. All in all Clockjack Oven was a great low key place to scratch your chicken itch and it also seemed like a fun place for large groups. Price range: About £20 for three courses, excludes drinks and service.